Ah, the 1980s. Not only did the decade gift us with a vividly colorful clothing scheme and a plethora of catchy pop ballads, but it also endowed us with one of film’s most beloved genres. Though thirty-plus years have passed since many of the best-loved '80s flicks were lensed, many of their locales remain virtually unchanged. Here’s a list of ten 80s movie locations that are found in Los Angeles. 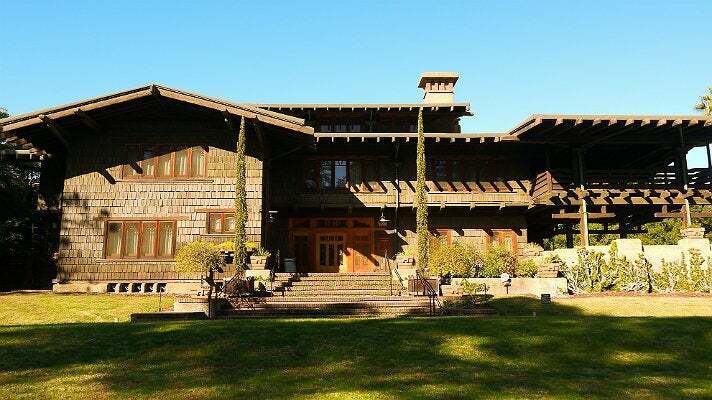 The massive home where Emmett “Doc” Brown (Christopher Lloyd) lived in 1955 in the smash hit "Back to the Future" is one of Pasadena’s most famous and stunning residences. 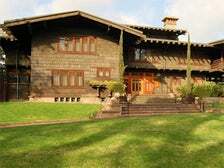 Designed by the Greene & Greene architecture firm from 1908 to 1909, the Gamble House is considered one of the finest examples of Craftsman-style architecture in the world. It was commissioned by David and Mary Gamble (of Procter & Gamble fame) to be used as their summer residence. Today, it operates as a museum. Only exteriors were filmed at this location. Interiors were filmed a few miles away at the Blacker House (1177 Hillcrest Ave.), another architectural marvel designed by Greene & Greene. Doc Brown’s peaked-roof garage can be found on the northeastern side of the Gamble House property - it currently functions as the museum gift store. A façade of that garage was constructed in the parking lot of the Burger King located at 535 N. Victory Blvd. in Burbank for the movie’s 1985 scenes. 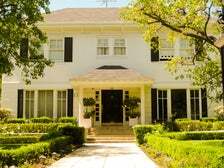 Much of the 1980 hit "Caddyshack" was lensed in Florida, but the house where Danny Noonan (Michael O’Keefe) lives can be found in Highland Park. 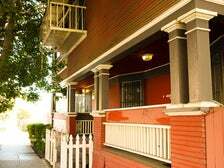 The multi-family residence has been painted red in the years since filming took place. The tree situated in front has grown considerably, almost blocking the structure from view, but it is still recognizable from its silver screen appearance. The gates of the fictional Bushwood Country Club can also be found in the L.A. area - they’re actually the West Gate entrance to Bel-Air, located at the intersection of Sunset Boulevard and Bellagio Road. The 80s classic “Fast Times at Ridgemont High” centers around the happenings of a group of students during an eventful year at the fictional Ridgemont High. 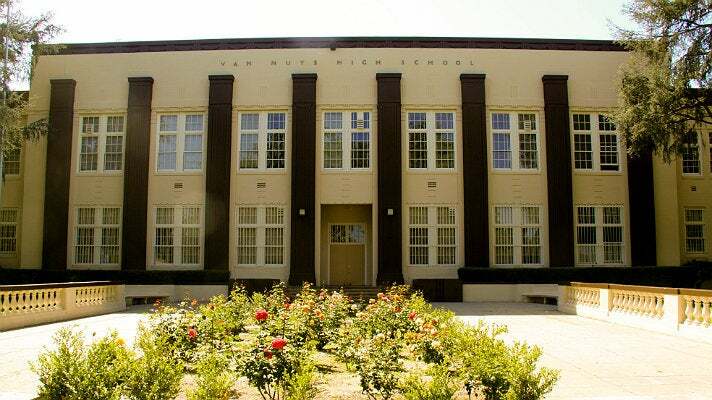 A couple of locations stood in for the movie’s eponymous school, but the most recognizable is Van Nuys High School, the real life alma mater of luminaries such as Marilyn Monroe, Robert Redford, Natalie Wood and Jane Russell. Today the school looks almost identical to its 1982 onscreen self. The same cannot be said for the two malls that appeared in the flick. The Sherman Oaks Galleria, which was utilized for interior shots, was damaged during the Northridge Earthquake and later closed and demolished. An open-air mall was subsequently built in its place. Santa Monica Place, used for exterior filming, was transformed into an outdoor mall from 2008 to 2010 and looks nothing like it did during the “Fast Times” shoot. 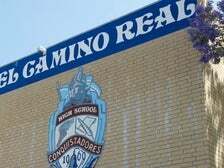 Though set and partially filmed in Chicago, the 1986 classic "Ferris Bueller’s Day Off" boasts quite a few Los Angeles locales, including El Camino Real Charter High School in Woodland Hills. Exterior school scenes as well as some interiors were shot at Glenbrook North High School in Northbrook, Illinois. 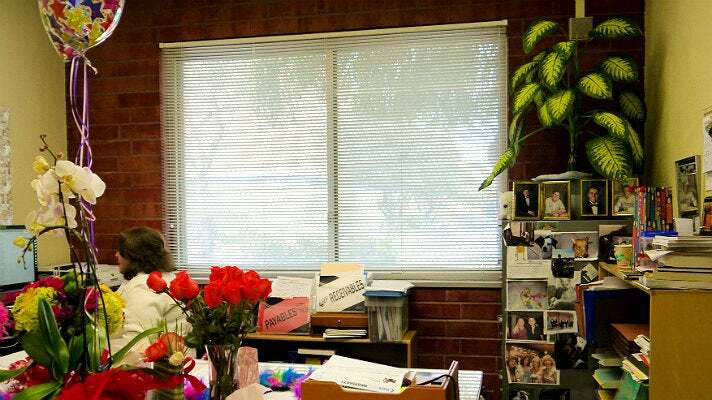 For the office belonging to Principal Ed Rooney (Jeffrey Jones) and his ditzy, Wite Out-sniffing secretary Grace (Edie McClurg), producers utilized the Assistant Principal’s office at El Camino High. For the shoot, the office’s rear wall was sandblasted to reveal its original brickwork. Almost three decades later, it miraculously remains in that same exact state. It’s New York City circa 1984 and you spot something strange in your neighborhood. “Who you gonna call?” Ghostbusters, of course! While it’s common knowledge that the exterior of Ghostbusters headquarters is the Hook & Ladder Company No. 8 firehouse in Tribeca, New York, not many realize that the interiors were filmed in Los Angeles. Because Hook & Ladder No. 8 was – and still is – a working fire station, producers had to locate a more suitable place for inside shots. They found what they were looking for at Fire Station No. 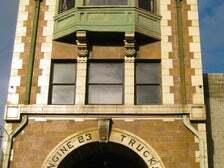 23, a shuttered 1910 firehouse in Downtown L.A. The property had been closed since the late 1960s and was mainly utilized for storage, fire training exercises and filming. 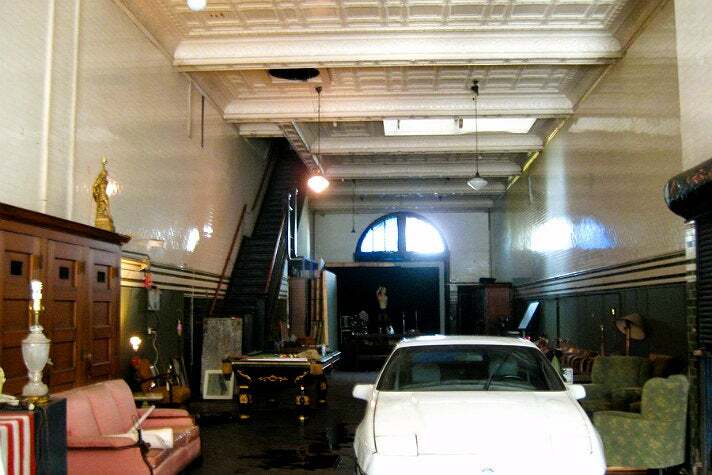 Though the interior of the building is still recognizable from its onscreen appearance, its future has been up in the air ever since the city declared it surplus property in 2009. 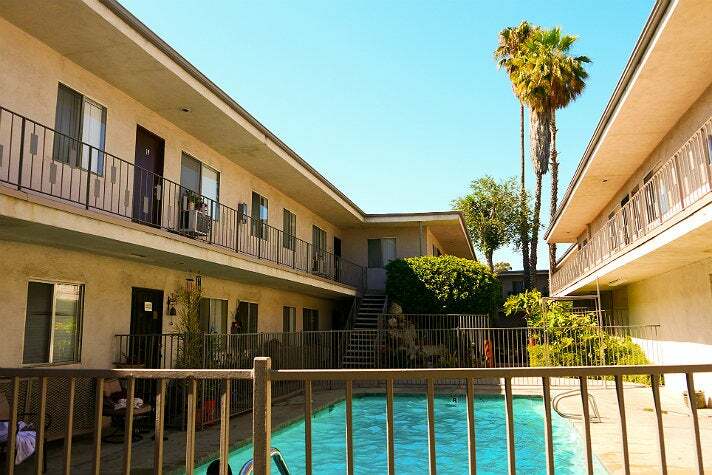 When Daniel LaRusso (Ralph Macchio) and his mom migrate from New Jersey to Los Angeles in "The Karate Kid," they move into apartment 20 at the South Seas complex in Reseda. Daniel meets Mr. Miyagi (Pat Morita) at the South Seas and is introduced to the martial art of karate. 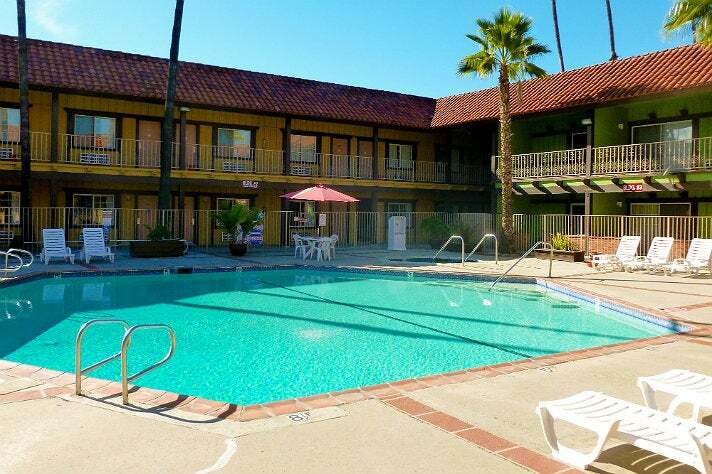 The building’s exterior, courtyard area and pool were used in the filming, but the interior of apartment 20 was a set, one of the few built for the movie. Though the South Seas looks almost exactly the same today as it did onscreen in 1984 (except the pool now remains filled with water), don’t expect to find Mr. Miyagi’s workshop on-site. The small shed was a mock-up that was built for the shoot in the complex’s carport area. “This is crazy, this is crazy, this is crazy!” So says Clark Griswold (Chevy Chase) as he shares a nighttime skinny dip with The Girl in the Ferrari (Christie Brinkley) in “National Lampoon’s Vacation.” Though the motel was supposed to be located about ten hours outside of Los Angeles, the scene was actually filmed at the GuestHouse International Hotel in Norwalk. 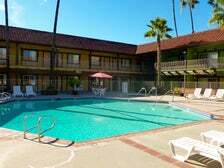 The hexagonal pool (situated on the eastern side of the property) and surrounding rooms still look almost exactly the same today as they did in 1983 during Clark and The Girl’s “exhilarating” dip. Three disgruntled co-workers (played by Lily Tomlin, Jane Fonda and Dolly Parton) decide that taking abuse from their “sexist, egotistical, lying, hypocritical bigot” boss, Franklin Hart (Dabney Coleman) is no way to make a livin’ in the 1980 comedy “9 to 5.” They team up to take him down by holding him hostage at his Tudor-style mansion with a hang gliding harness strapped to a customized garage door opener. 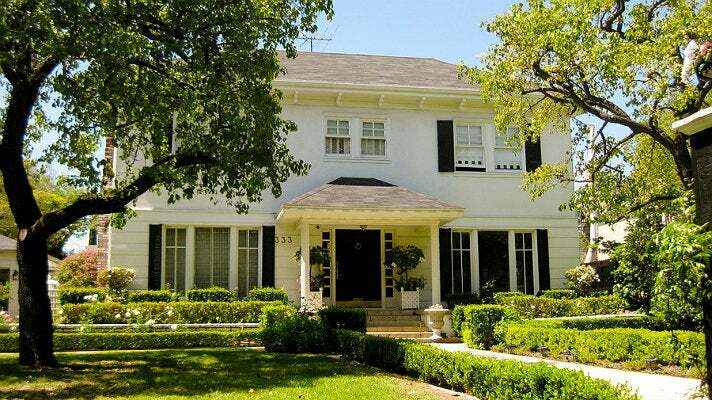 That mansion can be found on Bellagio Road in Bel-Air, looking much the same today as it did when “9 to 5” was filmed. In 1986's "Pretty in Pink," Andie Walsh (Molly Ringwald) lives with her down-on-his-luck dad, Jack (Harry Dean Stanton) on the wrong side of the Chicago train tracks. 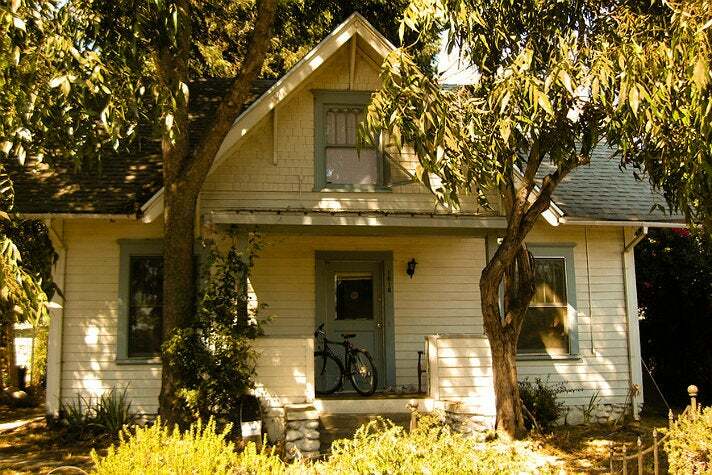 In reality, her tiny shingled bungalow can be found next to the Metro Gold Line tracks in South Pasadena. 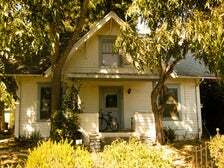 The residence remains virtually unchanged from the starry evening almost three decades ago when Andie first shared a kiss with her crush, Blane McDonnagh (Andrew McCarthy), on the sidewalk out front – minus the pink Karmann Ghia parked curbside, of course. In the 1983 sci-fi film "WarGames," teenage computer prodigy David Lightman (Matthew Broderick) hacks into WOPR (War Operation Plan Response), a United States military supercomputer, from his Colonial-style home in Seattle and almost causes World War III. 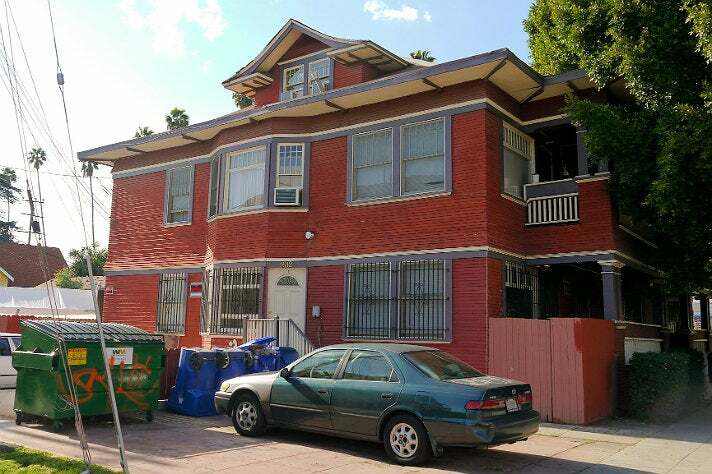 In reality, David’s pad is located in L.A.’s picturesque Hancock Park neighborhood. Though “WarGames” is set in Washington State, a large amount of filming took place in Southern California. 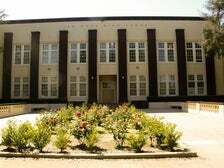 Snohomish High School, where David is a student and hacks into the school’s computer system to change a failing grade, is really El Segundo High School. 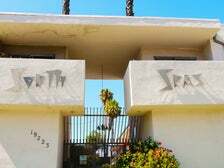 The exterior of 20 Grand Palace, where David hones his video game skills, is located at 20000 Ventura Blvd. in Woodland Hills. However, finding the Goose Island house where the reclusive computer scientist Dr. Stephen Falken (John Wood) lives is a virtual “Falken’s maze.” The actual house was located in Big Bear Lake but was torn down in recent years.